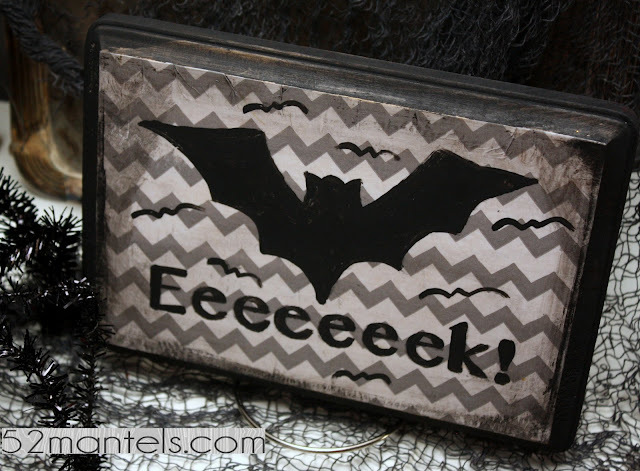 Today I have a fun charcoal transfer technique to show you, as well as an easy Painted Halloween Sign! I shared this last week at Free Time Frolics and am loving all the fun Halloween stuff going on over there right now. If you need Halloween inspiration, Free Time Frolics is the place to go! 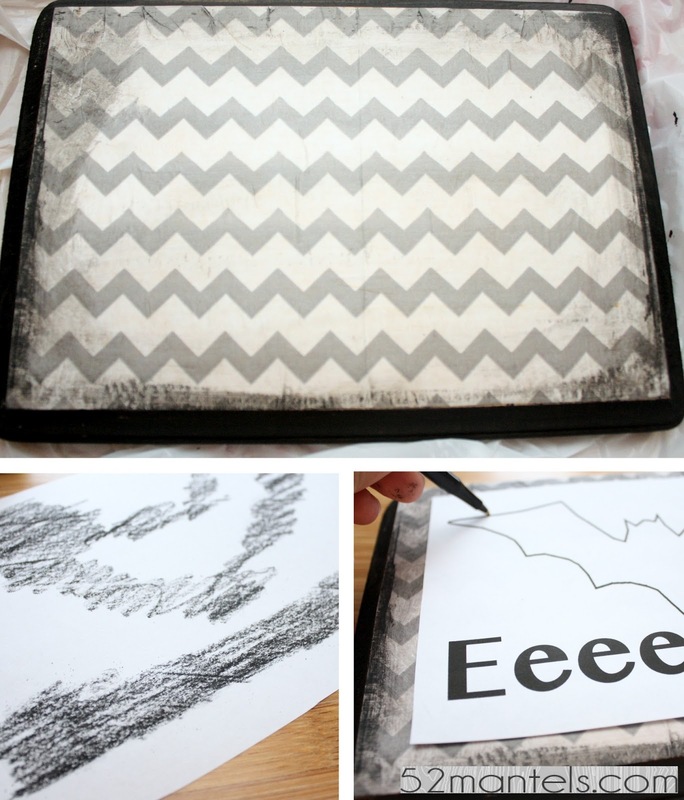 After gathering supplies, cut your paper to fit the plaque's face. 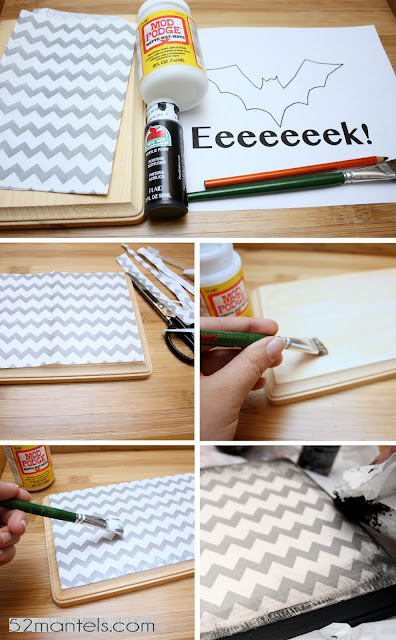 Attach the decorative paper to the wood by painting mod podge under and on top of the paper. After the mod podge dries, take a cloth or paper towel and "paint" the plaque's sides with black paint. You could do this with a brush, if you'd rather. I wanted a rough, distressed look, so I dry-rubbed the paint on the sides with my paper towel, letting some come over onto the paper. 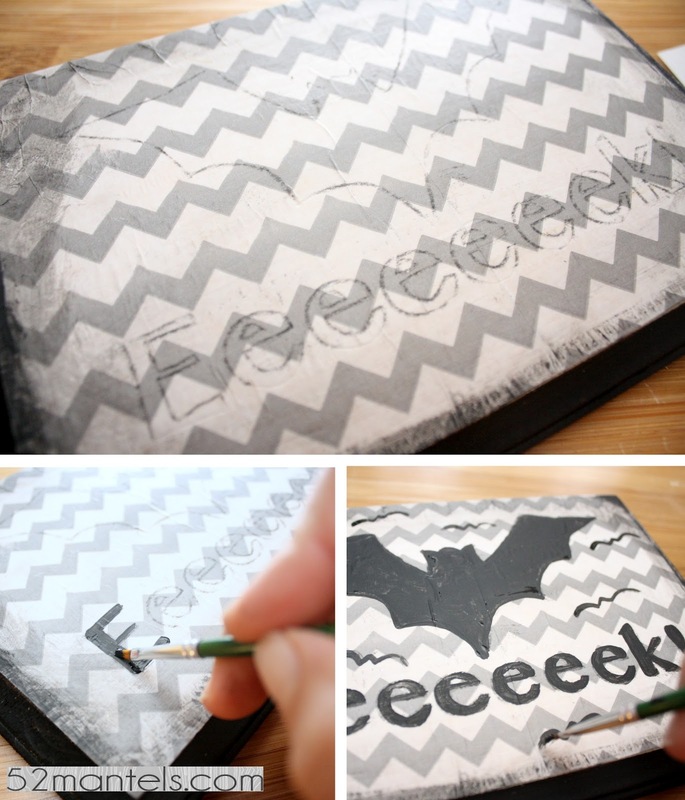 To transfer your image onto your dry plaque, rub charcoal over the entire backside of your image. Place the image, charcoal side down, onto your plaque. Take a pen, pencil or sharp object and trace around the entire image. For the letters, trace around the edges. When you lift the paper, the design will be outlined in charcoal. So cool! After your design is traced onto your plaque, take a small paintbrush and paint inside the lines. 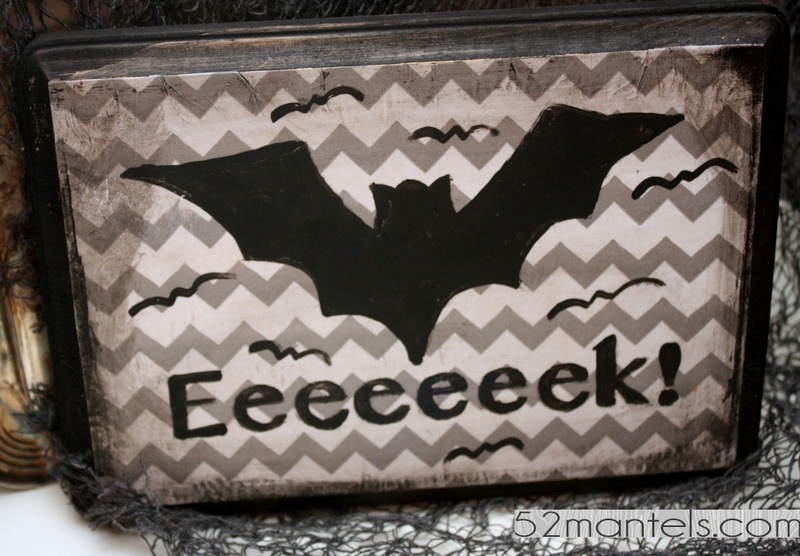 After my plaque was done, I painted on small, flying bats to add a bit more. Wah-la! You have a hand-painted Halloween Sign! Now that you know this technique, you can use it for all KINDS of things! Get creative! So cute! I wish I had time to do some crafts with you. Loved seeing you today. That's a new one on me Emily! Intriguing! This is awesome - it turned out so well! Oo, I haven't tried this transfer method before! Pinning and I see lots of projects in the works with this! Cute Miss Em, so I'm going over to Frolic and see what else they got.